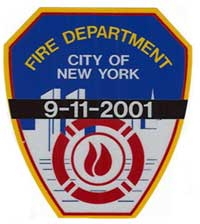 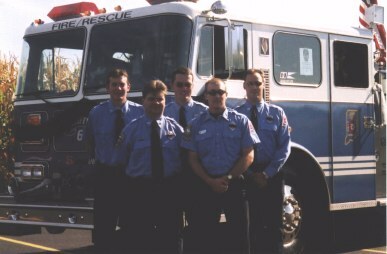 Click on FDNY patch for a memorial slideshow. 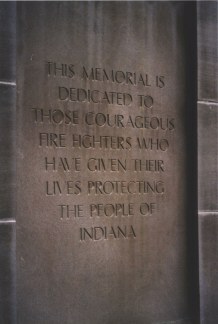 Opening remarks were made by Claude Reece of Madison Township. 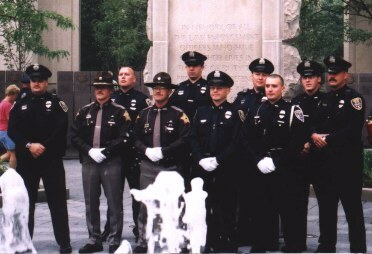 Officer Jamie Royce of the Madison Police Dept. 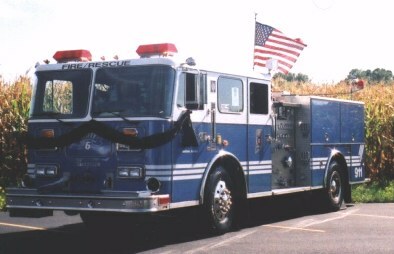 reads the Police Officer's and EMT's prayers. 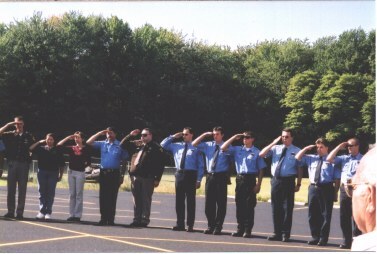 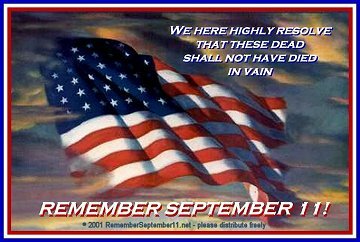 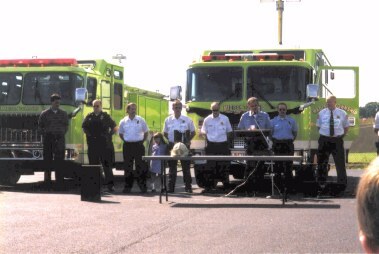 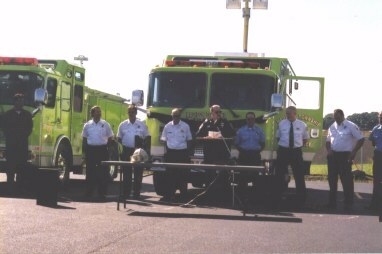 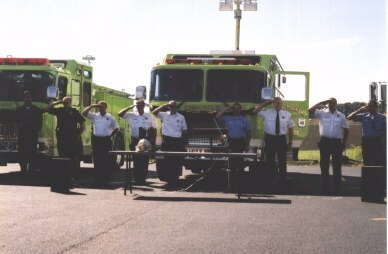 Salute during the Last Call for FDNY's fallen. 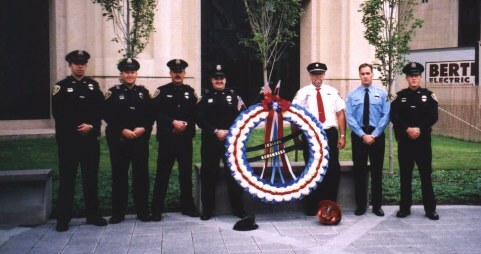 Clifty Six's representatives at the service. 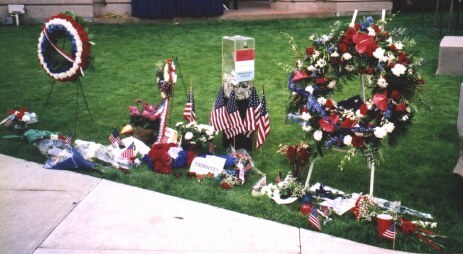 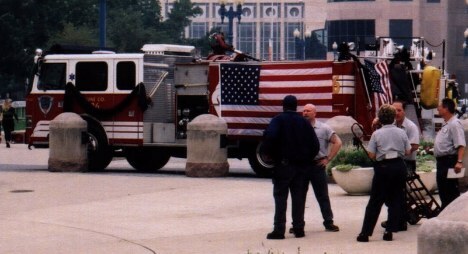 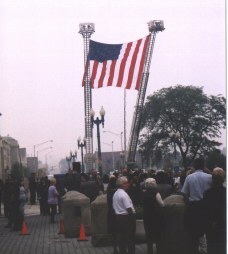 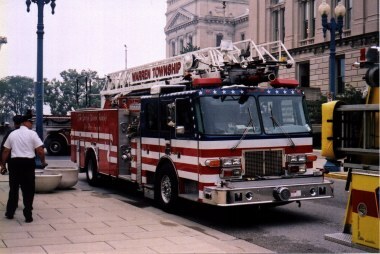 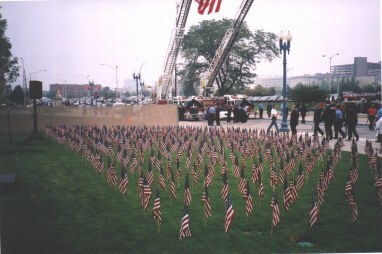 A large American Flag flies over the memorial attached to two ladder trucks. 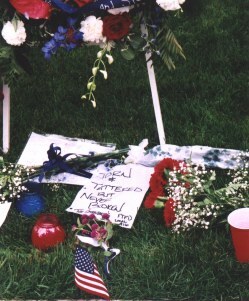 The note reads : "Torn & Tattered, but Never Broken !"